Heading into the off-season after ending the club’s 15-year finals drought, Tuggeranong United head coach Mitch Stevens was unsure how many players would accept offers from rival clubs. By his own admission, the past transfer window was a “particularly chaotic one which frustrated the hell out of him” but Stevens was certain he would see the bulk of his players back at the club because of the standard and culture that he had created. He was correct, as only two players from his 2018 squad moved away from the club with gun midfielder Shane Murray leaving the nation’s capital due to work commitments and forward Tom Pagett deciding to take a step away from the game. Stevens said the keyword the club built its culture on was honesty and was adamant that was one of the reasons why the side was seeing continued success. “We worked very hard on creating a culture in the club where the guys want to stay,” Stevens said. “We talked about what we want to be and how we wanted to do it, and that was even before a ball was kicked last year. “As a coach, there are times when you have to make decisions, not based on what someone’s surname is or their previous record at another club but actually due to what they are putting in on the training pitch. “I stressed to the group that at the end of the day, their age or name doesn’t bother me. I will tell you honestly where I think things are at and if you are doing the right things, you will be getting a position in my starting team. 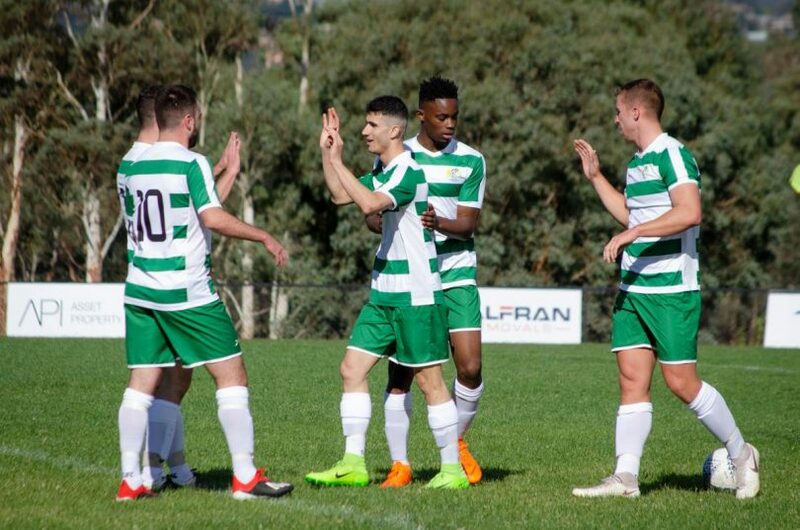 United’s season got off to a slow start with a 3-0 loss to Tigers FC but the side bounced back quickly with a 3-0 win over Canberra FC on Sunday afternoon (14 April). Where the side has been overawed in the past by the dominant clubs in the competition, Stevens said that is now a thing of the past. “The fear of any of those sides in the past who have traditionally challenged for the top is gone,” he said. “We can compete with any team in the league now. We know that.